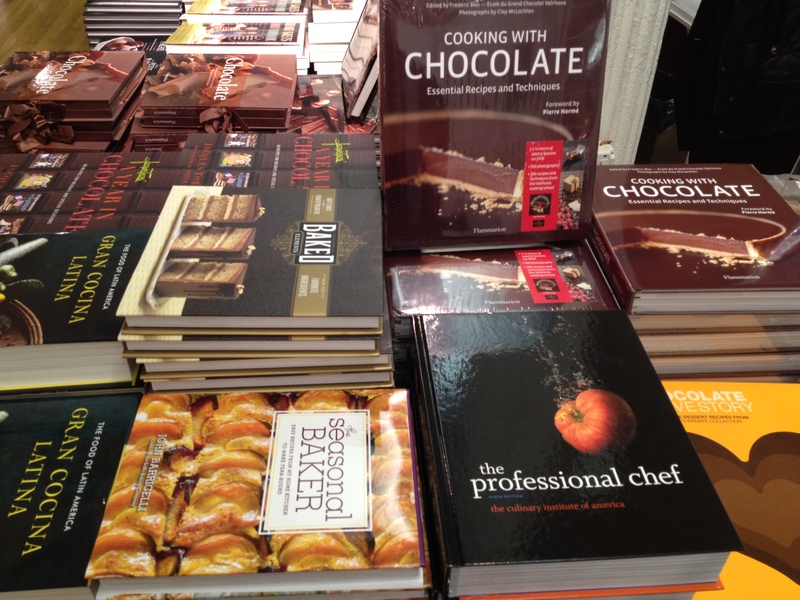 The 15th NY Chocolate Show was held in NYC from Nov 9 – Nov 11, 2012. If you did not attend it, I am hoping that this post will make you want to do so next year or at the very least, get into the holiday mood with the eye candy in this post. 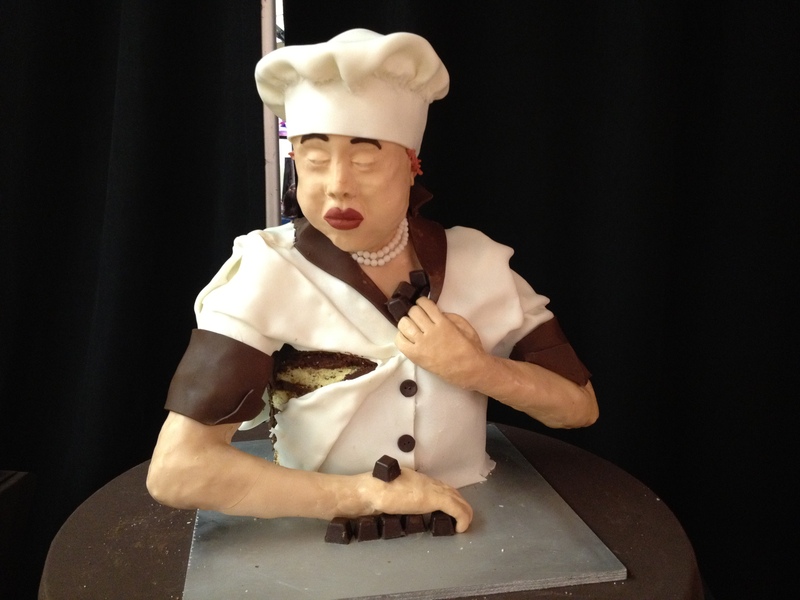 I did not know what to expect from a chocolate show. 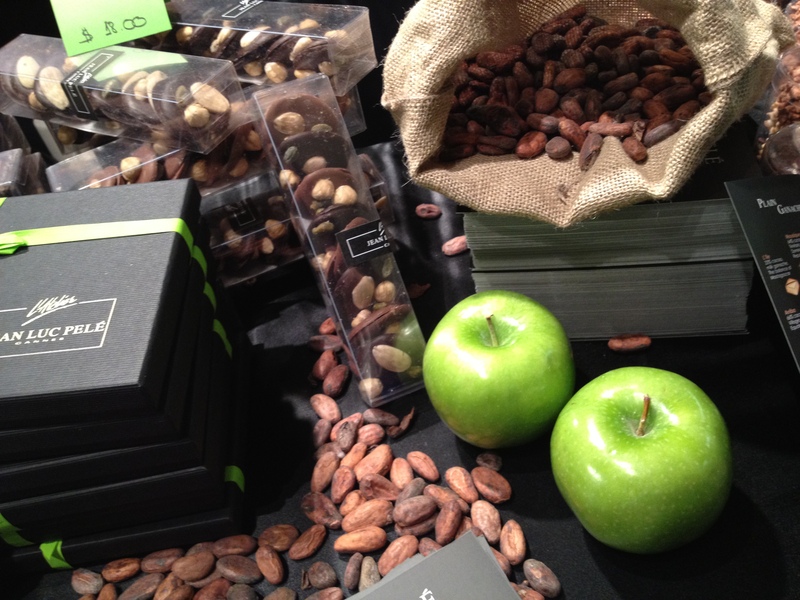 Before I went to the show, I wondered if it would be about single-origin chocolate / cocoa, classes in chocolate making, local, artisanal chocolate, vegan chocolate ….. well, you get my point – I was clueless. The show did include many things that I wondered about, and things that I did not expect. There were so many chocolate bars and boxes packaged beautifully from across the world, mostly from France, ready to be gifted for the holiday season. 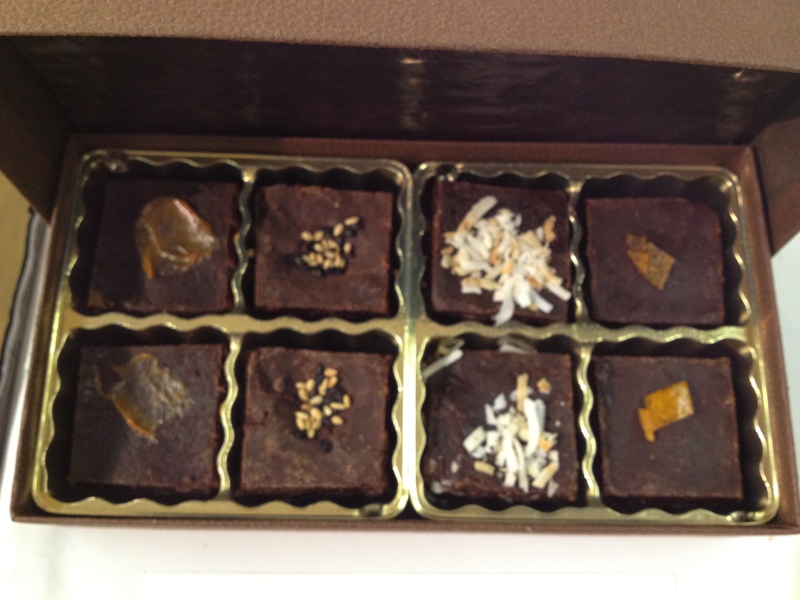 And yes, I got to sample some of the best chocolates from across the world within 3 hours. 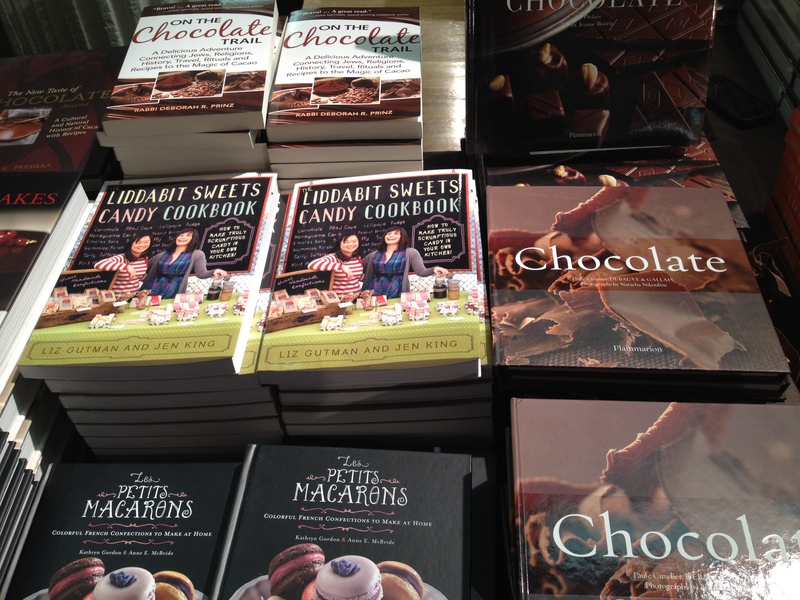 Picture a kid in a candy store, that’s me in the Chocolate Show. I started out being greedy, choosing the largest piece when I had a choice (after all I did not go “Trick-or-Treating” at Halloween this year), but by the time I left the show, I was picking the smallest piece possible. 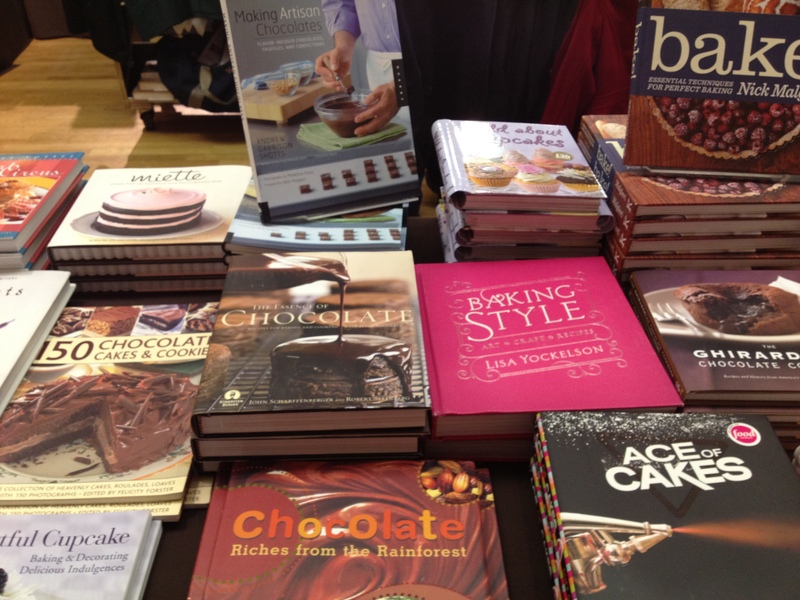 You may wonder if one can ever get sick of chocolate? 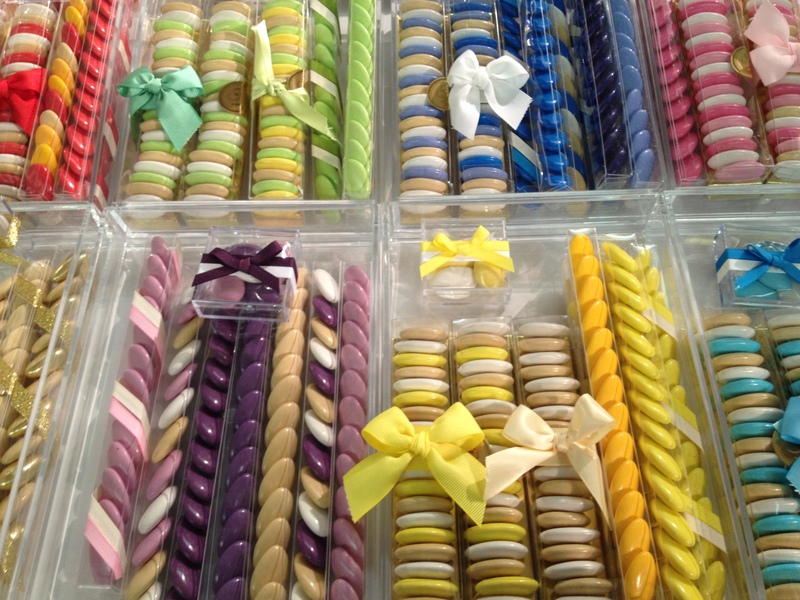 Let me tell you, tasting different chocolates from across 20 – 30 stalls can leave one quite sick of chocolate. Have you ever tried to buy perfume – at a retail store or at outlet mall or at a duty-free store? Of course, you have (unless you are allergic to perfume)!! Do you recall the small box of roasted coffee beans to neutralize the fragrance in your nostrils while you are smelling perfumes? After all, your sense of smell will likely numb over time when you smell different perfumes. I understand that tasting is different from smelling, but there are palate cleansers (iced water, hot tea, sorbet etc.) between courses of a meal. 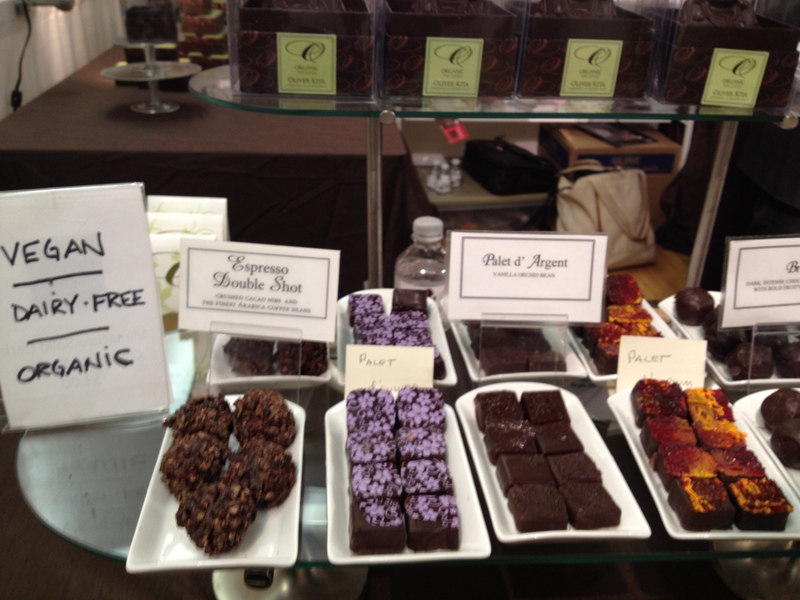 Why then, at a chocolate show, would there not be anything other than chocolate – when “chocolate-fatigue” (if such a word exists) can set in? Beats me…. To be honest though, I did see a Peanut butter sandwich stall (by Peanut Butter & Co.), but I am not a fan of peanut butter, a gelato bar (Screme) which probably had sorbets, a couple of chocolate wine stalls (Chocolate Wine Shop, Chocolatrouge Wines), and a spices and tea stall (Spices and Tease), but I can’t remember if hot tea was available there and did not think that the rest of the options were savory enough to make me want to try them. I have never been so thrilled as I was during those few hours to see and eat white chocolate (at Prestat Chocolates, and at Valrhona). I like white chocolate, but I LOVE regular chocolate (milk or dark chocolate). While I was at the show, I was inclined to reverse my preferences. 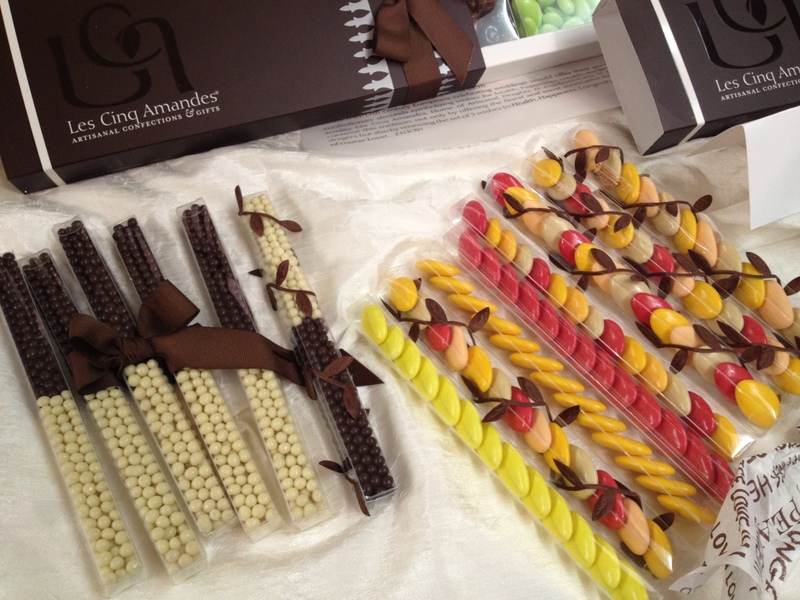 Technically, white chocolate is not even chocolate, and may be that is why it was at the show in very limited quantities. It is cocoa butter (an ingredient of chocolate), sweetener (sugar), milk solids, vanilla etc. but without the cocoa solids that are the key components of chocolate. Over the last few years, I have been drawn to dark chocolate: is it my increasing age or the “health benefit” of dark chocolate, I will never know. While I like dark chocolate, I have also realized that I enjoy chocolate with up to 65% cocoa, or may be even up to 70% cocoa, in fact, I do love the combination of sugar and dark chocolate. What is your favorite type of chocolate – white, milk, or dark? 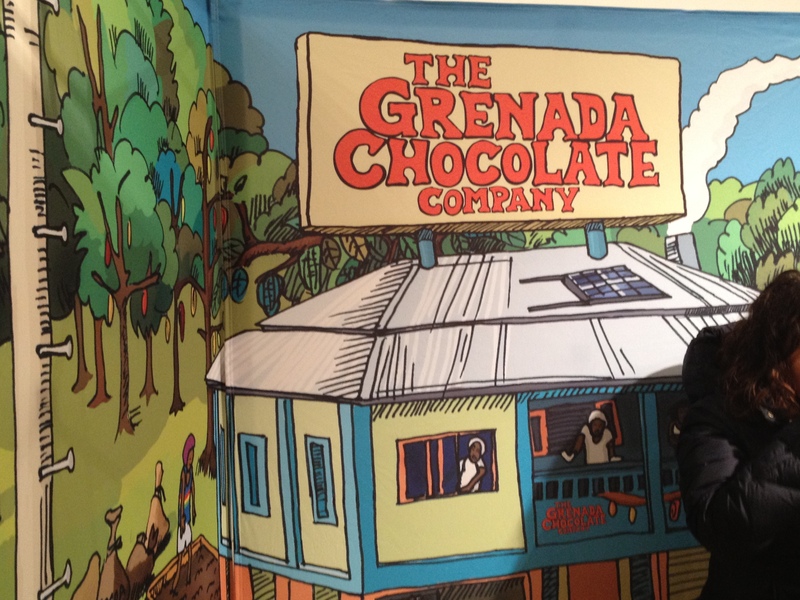 There were some chocolate bars that had higher concentrations of chocolate – Grenada Chocolate Company had a bar that was 100% chocolate – these were not for me. I have seen cocoa pods growing on trees before, but did not know that the cocoa pods can have different colors outside, apparently,the same tree can have different colored pods (wonder why?). 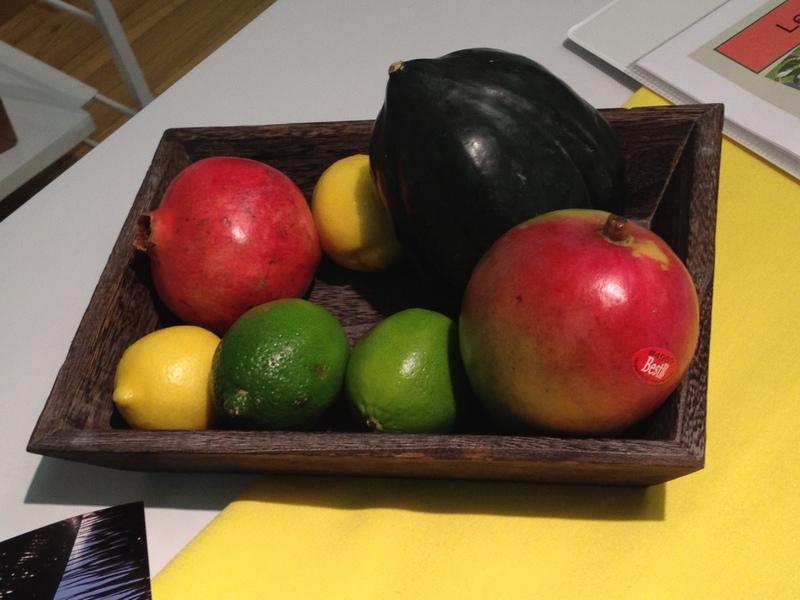 See the picture below for the size of a cocoa pod relative to other fruits. 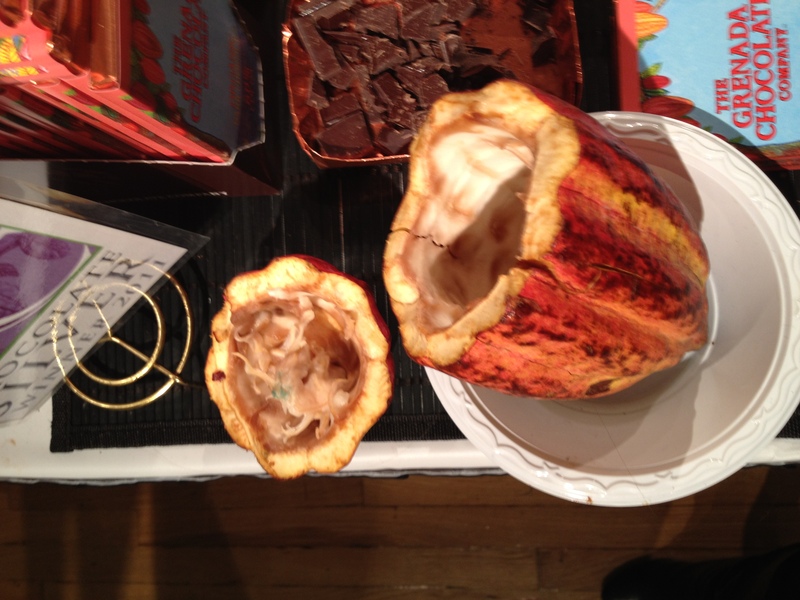 I have also never seen the inside of a cocoa pod. It was Grenada Chocolate Company that had an open pod, with its soft white pulp exposed. 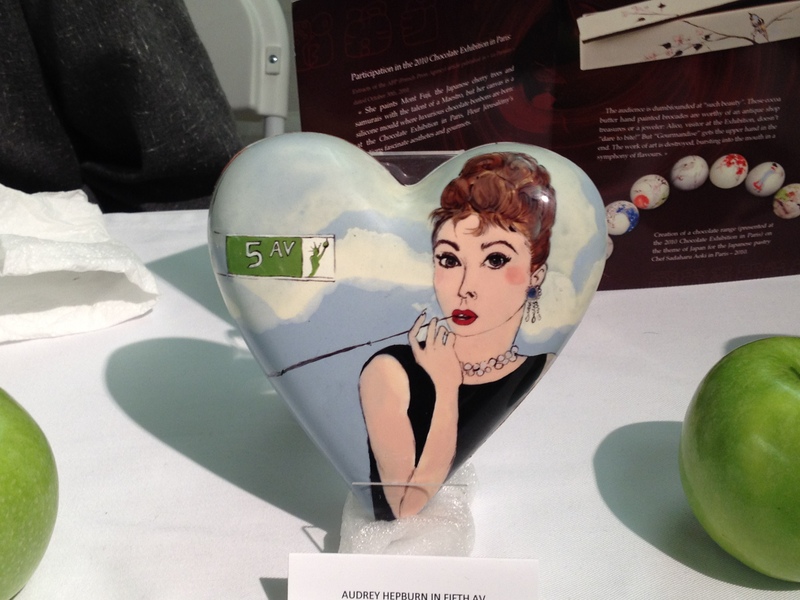 Most of the companies present at the show were French, besides American (and local at that). There were chocolates also from Belgium (Rogue Confections), the UK (Prestat Fine Chocolates and Truffles), Brazil (Cooper Bahia), Ecuador (Kallari, Pacari), and Grenada (Grenada Chocolate Company) were some of the other countries represented. Whatever happened to Switzerland, Italy, Venezuela, and other countries famous for their chocolate? Did Sandy scare them away? 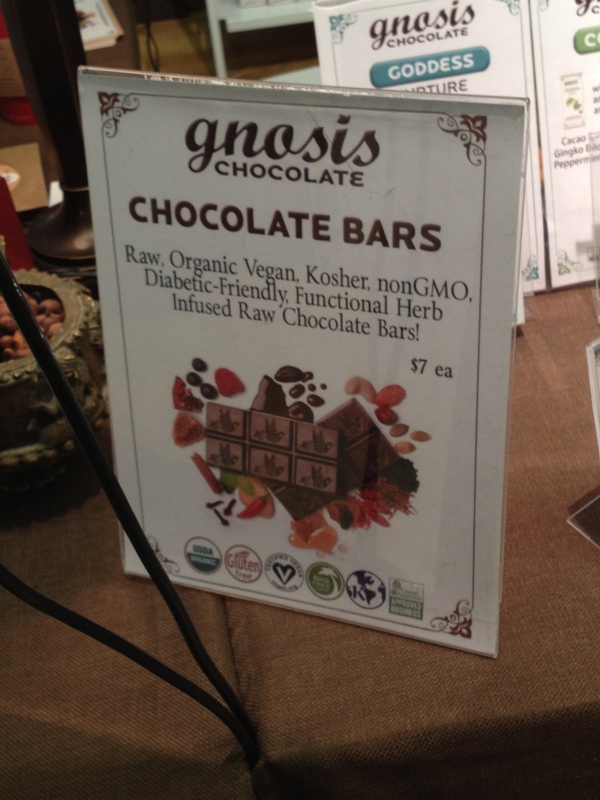 There was vegan chocolate from Gnosis, Oliver Kita, Ronie-Sue chocolates, organic, vegan, chocolate spread (with hazelnuts, and cashew nuts) from Chocandnut. 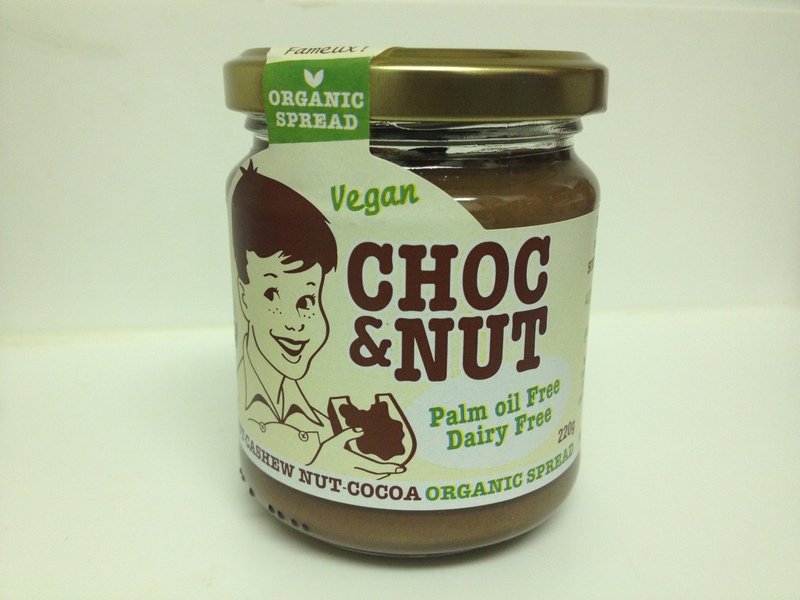 I loved the rich, smooth, not-too-sweet, vegan chocolate spread from chocandnut. I also brought a small bottle home. 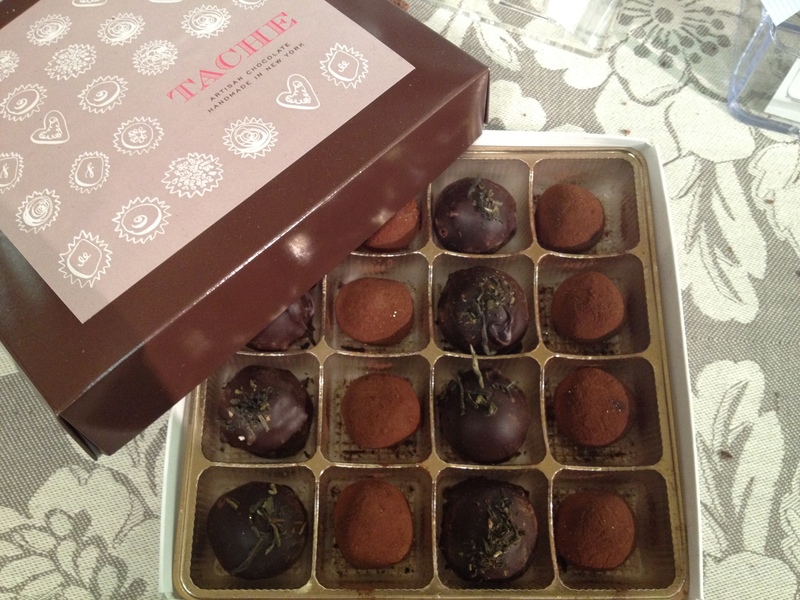 Tache Artisan Chocolate Once can sign-up for 90 minute chocolate making lessons in the Lower East Side. Jazz Brownies: I loved the spicy dulce de leche brownie from Jazz Brownies – the dulce de leche was smooth and rich, but not to sweet and not too spicy. The other flavors were coconut and black pepper, orange peel, and sesame. All of these brownies were exquisitely packaged. Jazz Brownies does not have a website yet, but you can e-mail jazzbrownies@gmail.com if you want to order. 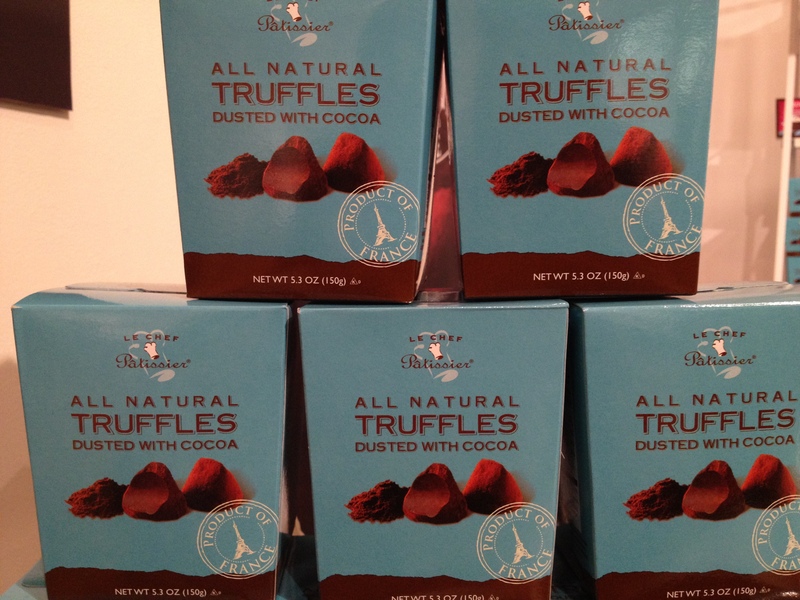 5th Avenue Chocolatiere has amazing French truffles (Original), besides kosher chocolate. I do not claim to be a chocolate expert,but I love chocolate, and I did not much care for the The Good and Evil Bar by Eclat. Don’t get me wrong, it was a bar of good dark chocolate, with some cocoa nibs, but nothing out of the ordinary. Apparently, I am not the only person who thinks so – read this page by the Huffington post. 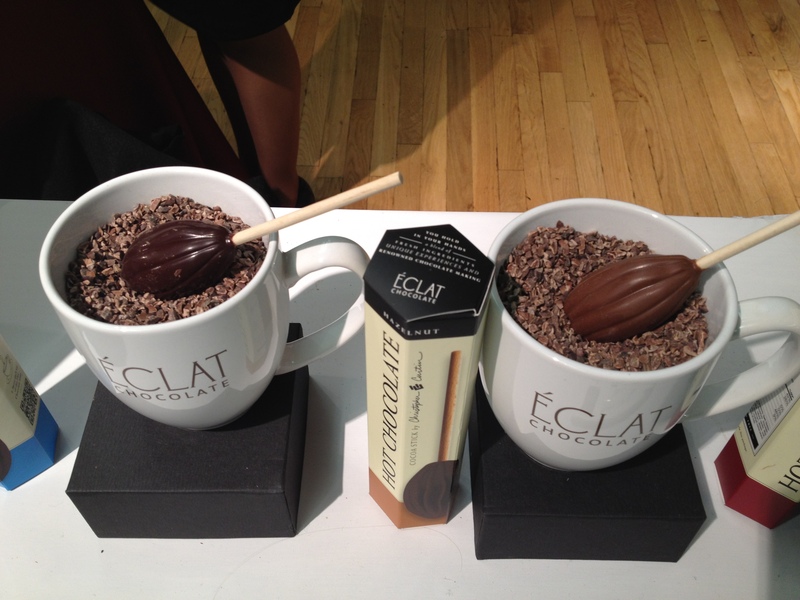 I loved the look of the Hot chocolate sticks by Eclat. 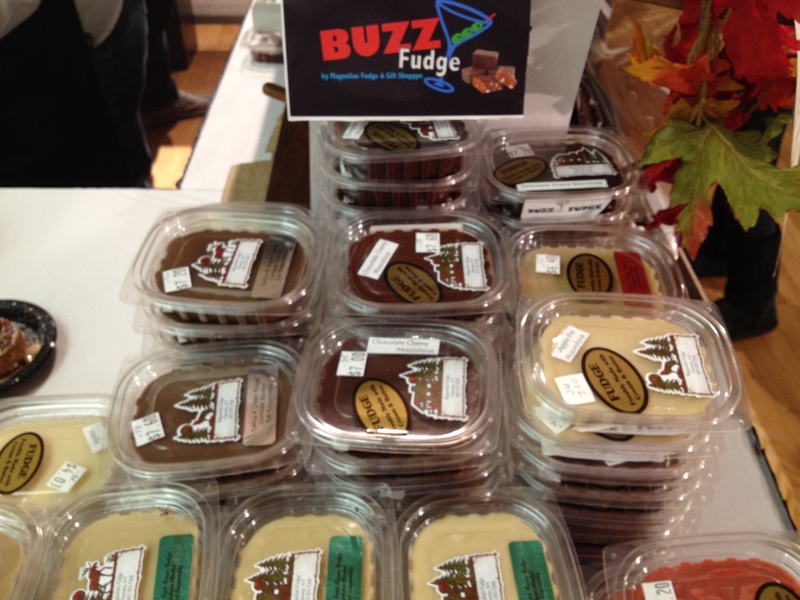 Buzz Fudge – had amazing fudge for display and sale. I tried the Turtle Butter, and it was decadent – rich, creamy, chocolatey, caramelly, but unfortunately, I do not know all the ingredients. 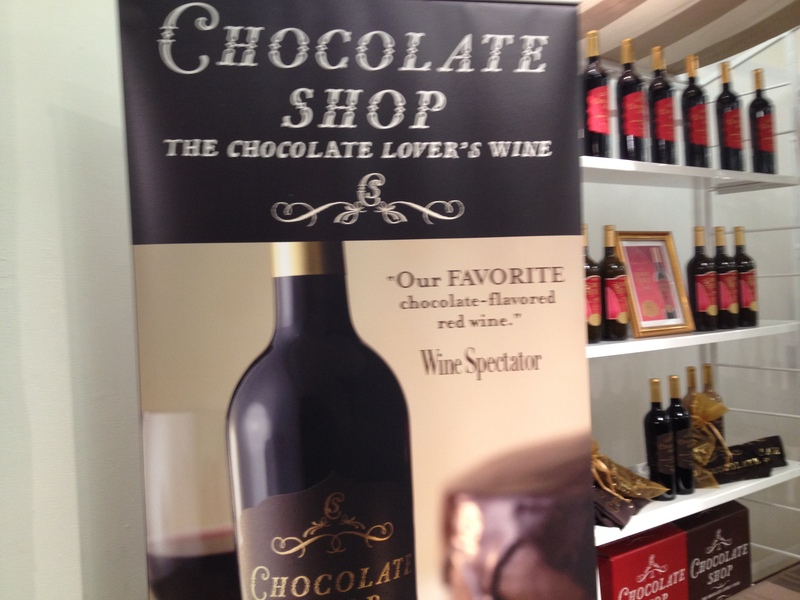 The chocolate wines from Chocolatrouge Wines, and from the Chocolate Wine Shop were both great! One can distinctly taste the wine in these – would make great gifts for the holidays. 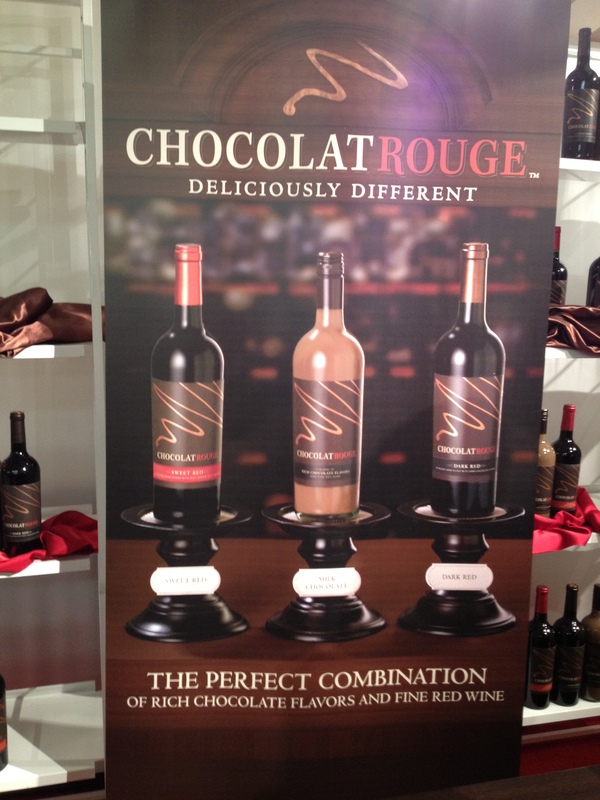 Chocolatrouge wines had sweet red wine, milk chocolate red wine, and dark red wine, all with chocolate. The last one was a little too dry for my taste. Chocolate Wine Shop had wine in four different flavors – chocolate wine, chocolate strawberry wine, almond creme, and creme de c0cao. It’s a bit of a blur now, I think I liked the creme de cocao the best. 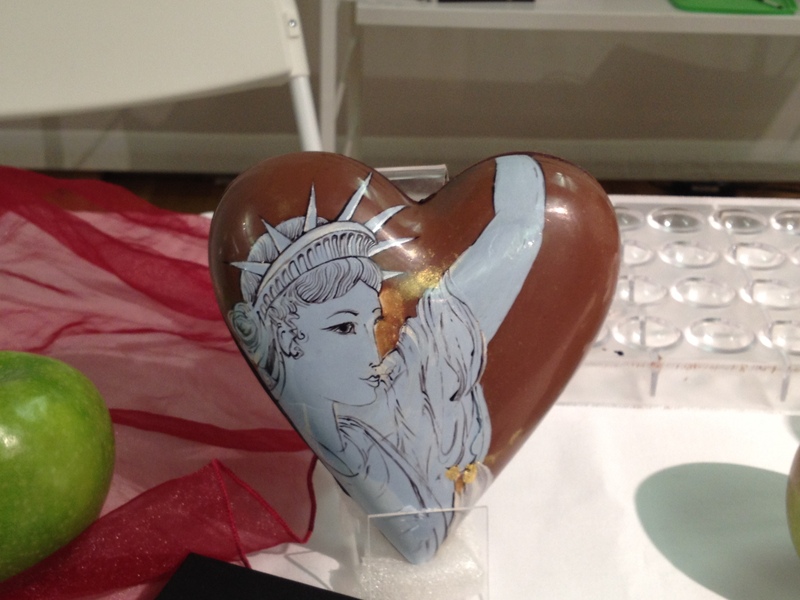 Fleur de Xocoatl – had many chocolates displayed with the NY theme. 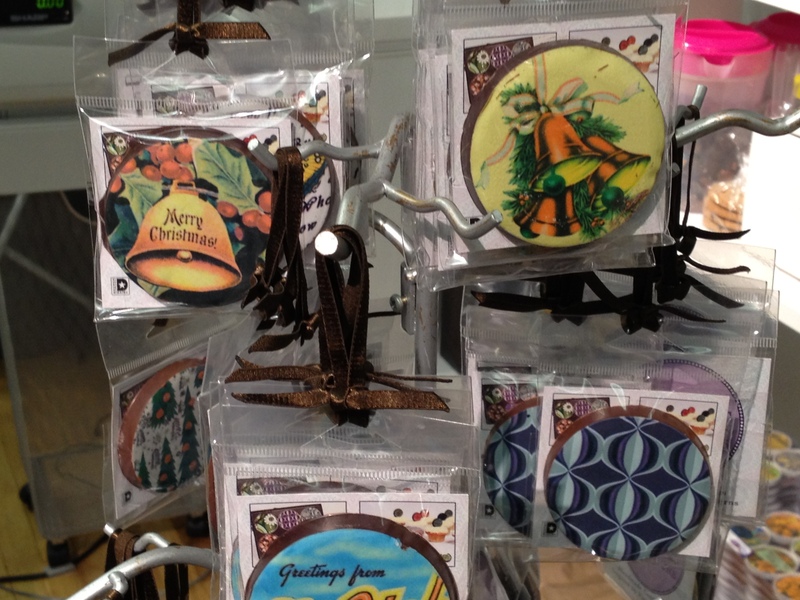 Rogue confections uses Belgian chocolate and decorates it with printed sugar paper. 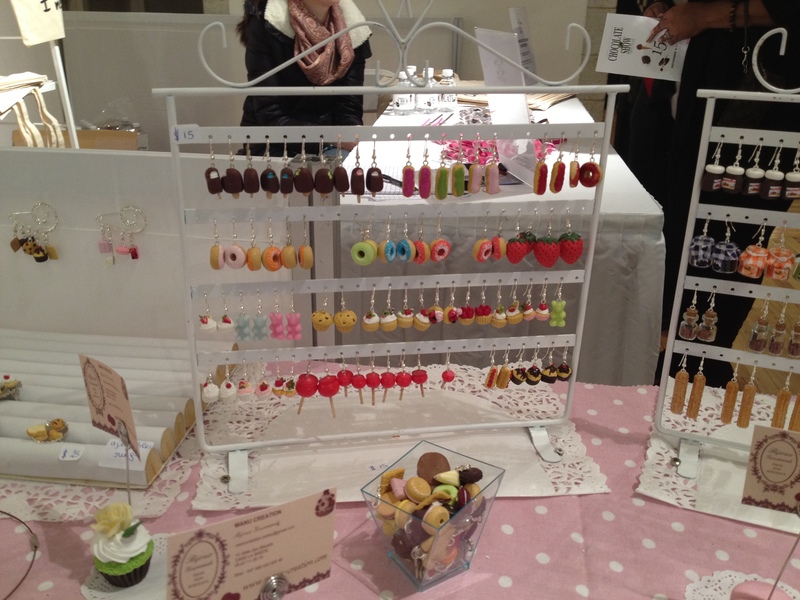 Manu Creations displayed delicate, chocolate inspired jewelry (not edible, obviously) for about $15 a pair. 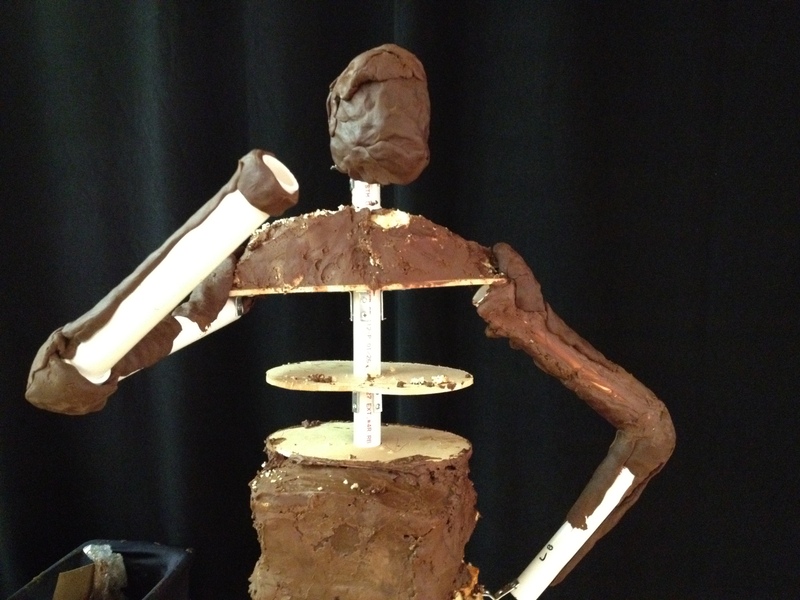 If you were keen to watch someone sculpt chocolate, you could have watched someone do so. There were culinary demonstrations through the day. 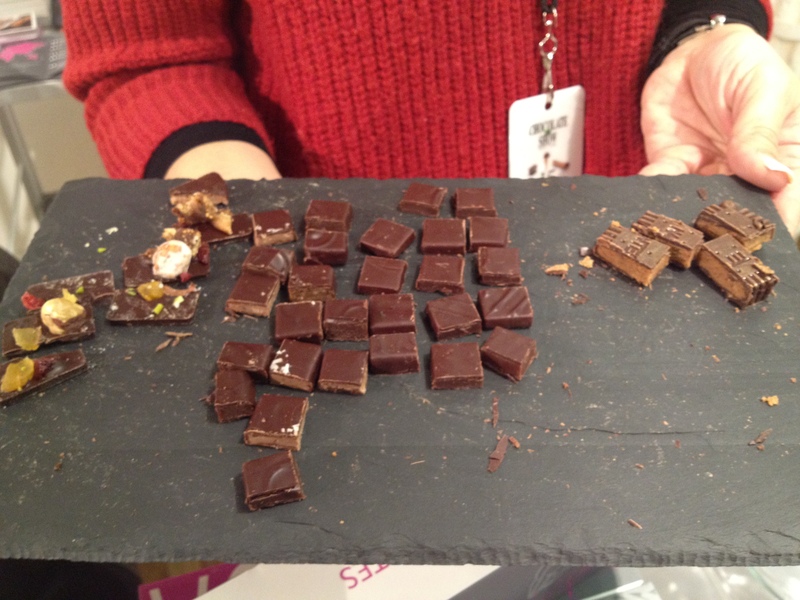 I attended one on Culinary Trends in Chocolate – more on that in another post….. There was also a Kids Corner – where kids could participate in chocolate-inspired activities – e.g., dip chocolates in large marshmallows, create truffles etc. 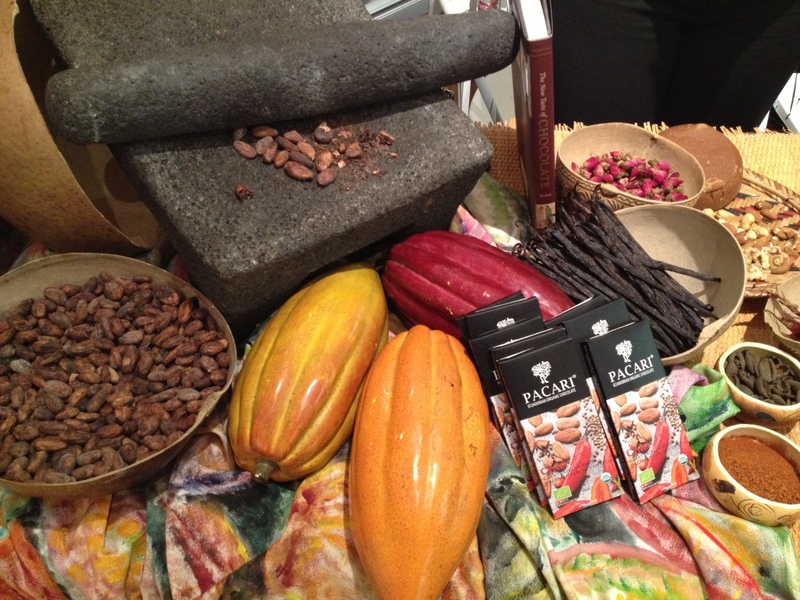 Kallari (Ecuador) offers Rainforest Chocolate tours for about 9 days and costs $1495 without airfare. 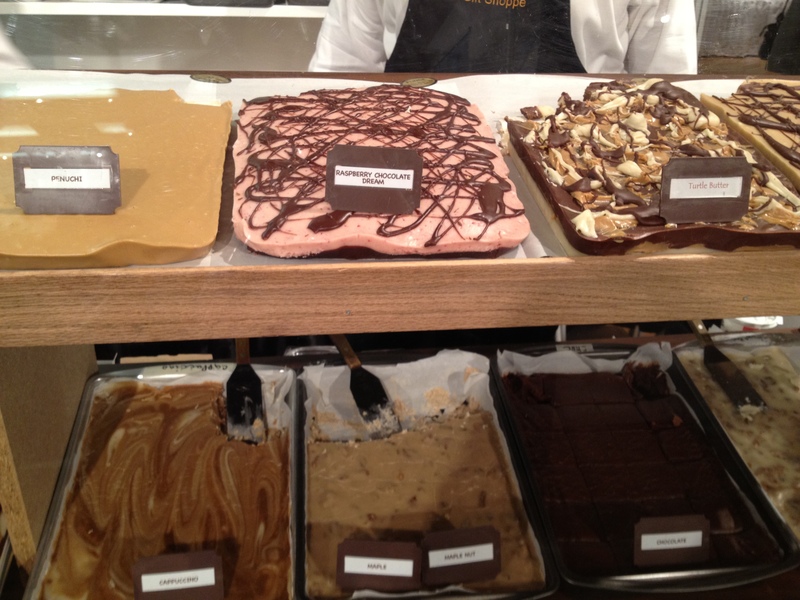 For information on chocolate tours in the Carribean, read this recent NY Times article. 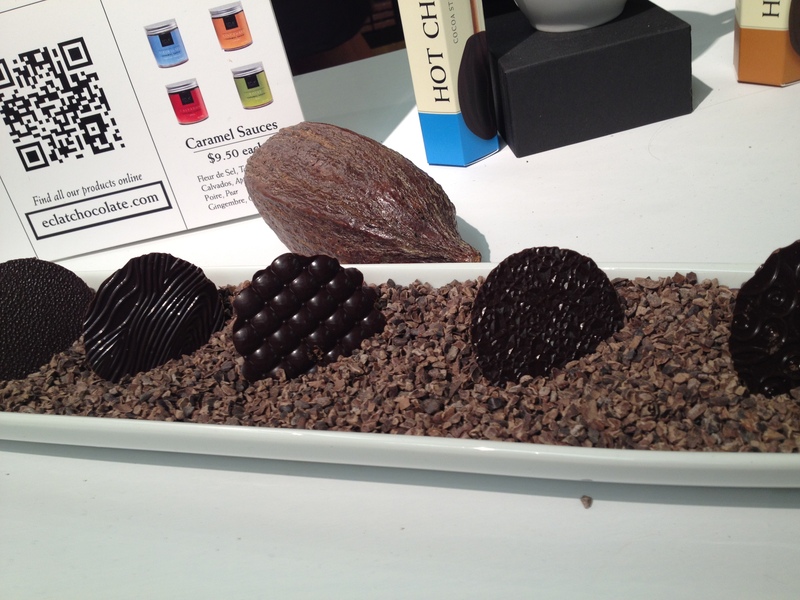 NY Chocolate Show 2012 – Chocolates by Jean Luc Pele (France), the molten chocolate with passion fruit was simply amazing. 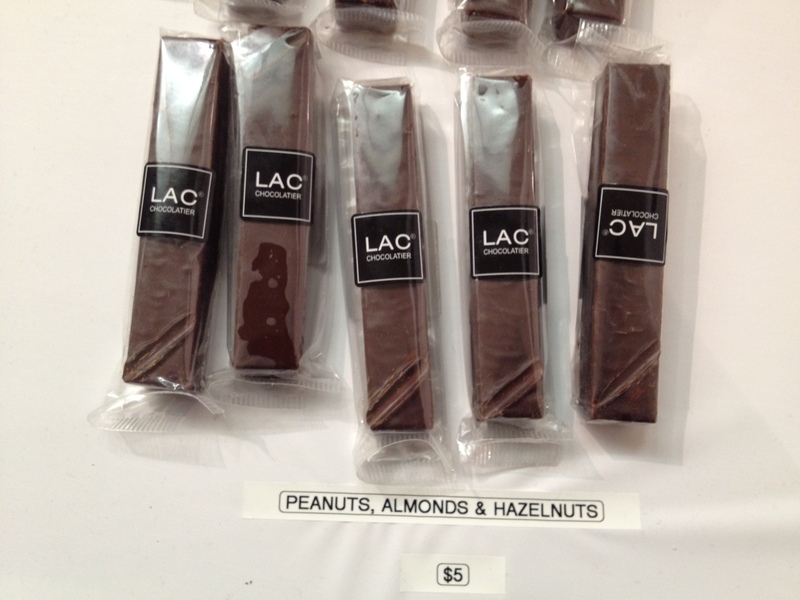 What is your favorite chocolate of the show, you ask. Well…. let me think, was it the French truffles from Le Chef Patissier line, or those from No Chewing Allowed (love this name, just let the truffle melt in your mouth), or those from our very own 5th Avenue Chocolatiere; the spicy dulce de leche brownie from Jazz Brownies (no website yet), petit beurre chocolate from Vincent Guerlais, or the fudge from Buzz Fudge, or the molten chocolate with Passion fruit from Jean Luc Pele, or the white chocolate coins from Valrhona and Prestat or the organic,vegan (chocolate, hazelnut, and cashew nut) spread from Chocandnut or OMG (salted caramel) brownie from Salt of the Earth Bakery …..
Folks in Chicago will get to enjoy the Chicago Fine Chocolate show later this week (Nov 16 – 18). If someone goes there, please tell me what I missed there…. So, what is the true cost of attending a chocolate show – is it the 35$ fee that I paid or is it the dozen hours that I need to spend in the gym after ingesting, may be, about 2000 calories in about 3 hours???? 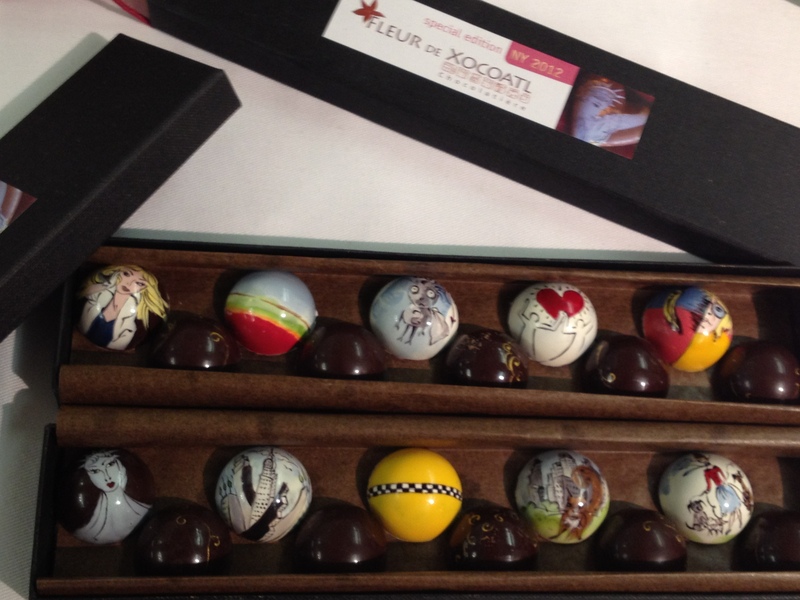 Such amazing chocolates…and lovely pictures. thank you vidya !! Thanks, Ramesh. Am glad you enjoyed reading this.